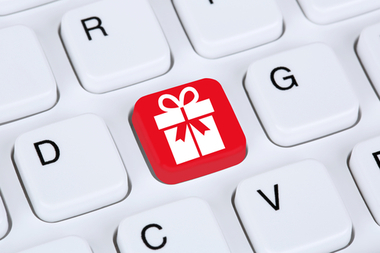 It’s that time of year again and eCommerce News reports that 76% of consumers will be buying half of their Christmas gifts on-line. And it turns out, 29% of UK customers had already started buying their Christmas presents as of September, this year. So, you can bet your customers had already started their Christmas shopping way before relentless advent calendars started creeping into the supermarkets. There’s no doubt about it, Christmas shoppers are great for business. Unfortunately, once the festive period is over, they seem to vanish. Don’t fret though, in this post we’ll share a few tactics you could use to increase the chances of shoppers returning to your eCommerce site, no matter the season. Since most of the population starts their Christmas shopping ahead of the festive month, planning everything beforehand is necessary. Think about who you can target and with which products. Also, be aware of your sales cycles since some products have a strong seasonal surge around the festive season. Consider optimising your website design, providing free shipping services, and updating your returns and exchange policies. Modern and rich navigational animations can make your site more effective at guiding your users toward action. Whether it’s something like a simple page-load design or a slight movement when the mouse hovers over a button, the animation will give the user some momentum when navigating toward a sale or conversion. Doing so, you’re creating an online shopping experience more playable and enjoyable to your customer which makes your customer feel like you really care about their experience on your site. At Buzz Digital, we know that finding the time to manage your eCommerce site can be challenging. That’s why our expert team of designers and developers specialise in building user-friendly, mobile-friendly sites that make handling busy periods effortless. From managing high volumes of products to handling billing and delivery data – we can help your online shop reach its full potential 365 days of the year. For more information about our eCommerce services, don’t hesitate to get in touch with our team today. No doubt, the festive season is tough and requires a lot of work for eCommerce store-owners, but it is also wildly profitable. Christmas and the New Year season is one of the best times of the year to give your online shop a real boost in sales. If you optimise your shop properly and add a little decoration, your conversion rates can increase massively. Be sure to share your insight and experiences on how you’ve been preparing your Christmas activities with us in comments section below! Is television still the dominant screen in the living room? Should You Split Up With Your Sidebar? Love is all around! Is your website ready for Valentine’s Day?